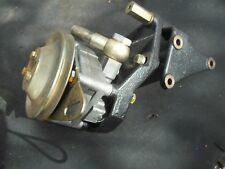 NOS power steering pump 164 base,L call 321 279 0922 for info. No exceptions. 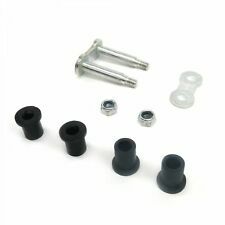 -will include all seals, o-rings, and OEM parts necessary for the repair. This warranty gives you specific rights and you may also have other rights, which vary, from state to state. ORIGINAL ALFA PART. THE PRICE IS FOR 1 BOLT. (DXG22) 939 A.000 Hatchback 2006-2011. 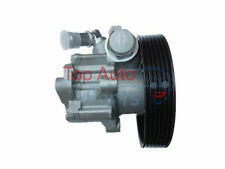 ZF Power Steering Pump. Out of running, later model spider. Made in Germany by CRP. Continental Rubber Products. Only you can see what it costs on your end. 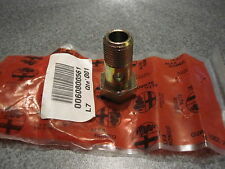 NGK Standard Spark Plug. Overdrive has been in the automotive parts industry for over 15 years. FIND THE RIGHT PART FOR YOUR CAR. Newly Listed. QUICK LINKS. MIRROR ASSEMBLIES. MIRROR GLASS. OTHER PRODUCTS. Part Number: 12552. Part Type: Cooling System Adapter. Overdrive has been in the automotive parts industry for over 15 years. FIND THE RIGHT PART FOR YOUR CAR. QUICK LINKS. MIRROR ASSEMBLIES. MIRROR GLASS. 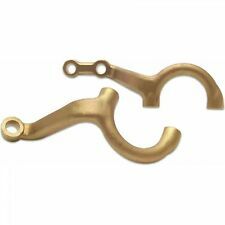 (OEM: 46413329 60562019. C2__, 916C2C00) AR 33501 Coupe 1995-2005. B1A) AR 33501 Hatchback 1998-2001. B1A) AR 33501 Hatchback 1996-2001. B1) AR 33501 Hatchback 1994-1996. B2B) AR 33501 Hatchback 1996-2001. Blade Style: CONVENTIONAL. Overdrive has been in the automotive parts industry for over 15 years. FIND THE RIGHT PART FOR YOUR CAR. QUICK LINKS. MIRROR ASSEMBLIES. MIRROR GLASS. OTHER PRODUCTS. Longer lfe precison cut wiping edge. Part Number: 9776. Established in 1959! OEM: 46534757 46473843 46737907 60815754 55183805. LANCIA THESIS (841_) 2.4 D Multijet 841 E.000 Saloon 2006-2009. LANCIA THESIS (841_) 2.4 JTD 841 E.000 Saloon 2003-2009. A word about the source of these parts: Parts are from a 1991 164 L with 118K miles I am curently dismantling. Car was running when removed from service due to a timing belt break. Prior ro dismantling, car was connected to a battery and electrical functions were checked. (OEM: 60811336 60813637 60808788 7712005 46514985 46514473 46819592 55186711. Doblo (119,223) 2001/03. Doblo cargo (223) 2001/03. DOBLO (119) (2001/03 -/). DOBLO Cargo (223) (2001/03 -/). B4A) AR 67501;AR 33601 Hatchback 1994-1999. Part number 60674805. Only for left hand drive vehicles (LHD). We have a huge selection of NOS Fiat and Lancia parts which are all original. OEM Girling Resivoir cap. All as shown in photos. 3-7/8" Dia. P.N. 60665904 GENUINE NEW POWER STEERING HYDR. SYSTEM PIPE FOR ALFA ROMEO 156!! P.N. 60665904. 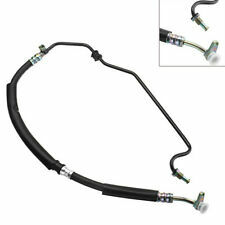 POWER STEERING HYDRAULIC SYSTEM PIPE. GENUINE NEW. We have a large fenced in yard that is pretty empty right now. 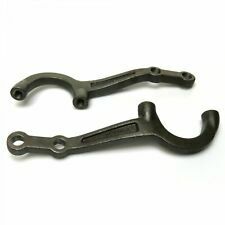 P.N 60547817 GENUINE NEW POWER STEERING PUMP SUPPORT FOR ALFA ROMEO 33 '90-'94!! P.N 60547817. /DS (1990-1994). 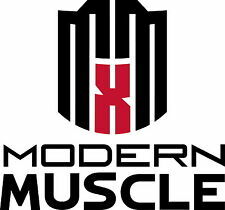 (1990-1994)! POWER STEERING PUMP SUPPORT. GENUINE NEW. Trending at $14.73eBay determines this price through a machine learned model of the product's sale prices within the last 90 days. (DXB11) 01/2006 -. BOSCH K S00 000 125. BOSCH K S01 000 095. Pump Type: Vane Pump. 03/2011 2198 136 185 939 A5.000 Convertible. TRISCAN 8515 15622. 05/2011 2198 136 185 939 A5.000 Hatchback. SANDO SSP74102.1. OEM Numbers: 50500424 / 51839102. FIAT 50500424. 11/2011 1910 85 115 937 A7.000; 939 A7.000 Sedan. BOSCH K S00 000 145. BOSCH K S01 000 115. Pump Type: Vane Pump. 11/2011 1910 100 136 937 A8.000 Wagon. Power Steering Filter. This no-exceptions policy ensures the quality of the components you receive. Trending at $11.94eBay determines this price through a machine learned model of the product's sale prices within the last 90 days. Authorized Mr Gasket Dealer. Fast & Free Shipping! Part #: 9776. Warranty Type: Manufacturer Warranty. WARRANTYWarranty Duration: Other. 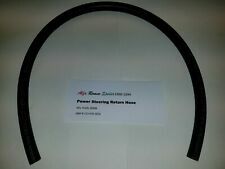 Mr. Gasket 9776 Power Steering Cap Cover. Another new dress-up product from Mr. Gasket. Fits most Ford, GM, and Chrysler applications. Power Steering Cap Cover. 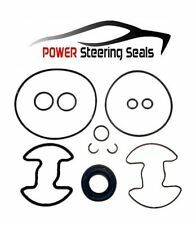 (OEM Numbers: 46406957 / 46436958 / 46475018 / 46763559 / 46763561 / 60665522. FIAT 46763561. A3A) 12/1996 -. A2C) 09/1997 -. A2) 12/1996 -. BOSCH K S00 000 103. BOSCH K S01 000 073. Pump Type: Vane Pump. It has been tested and is ready to install. Classification: Champion Platinum Power. Feature 1: Platinum Power Premium Spark Plug. Powerful Performance. Plug Type: RC9PYC. Resistor Plug: Y. Feature 2: Platinum center electrode for long life. Feature 3: Fine-wire center electrode for greater ignitability.